Why is it important to have a Disciplinary Policy and Procedure? 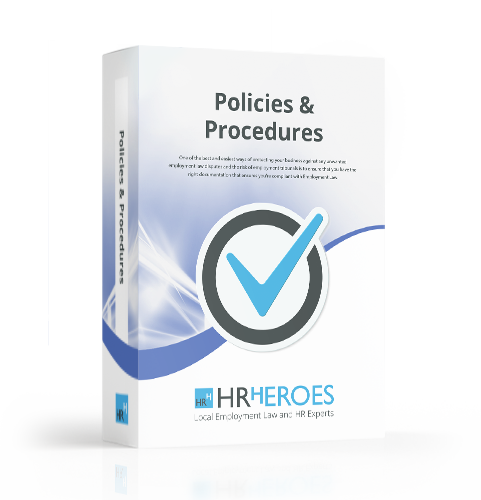 It is a legal requirement for all businesses, regardless of their size, to provide and follow a written policy to cover disciplinary and dismissal issues with their staff. All employers are required to have minimum statutory procedures to encourage formal resolution of disciplinary, dismissal and grievance disputes and you are required to provide your employees with easy access to these policies. Our Disciplinary Policy and Procedure document will give you a compliant policy that is up to date, conforms with the Bribery Act of 2010 and clearly details the way in which your business will manage disciplinary disputes.